Leukemia is cancer of the white blood cells. White blood cells help your body fight infection. Your blood cells form in your bone marrow. 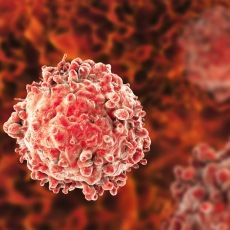 In leukemia, however, the bone marrow produces abnormal white blood cells. These cells crowd out the healthy blood cells, making it hard for blood to do its work. In acute lymphocytic leukemia (ALL), also called acute lymphoblastic leukemia, there are too many of specific types of white blood cells called lymphocytes or lymphoblasts. ALL is the most common type of cancer in children. Possible risk factors for ALL include being male, being white, previous chemotherapy treatment, exposure to radiation, and for adults, being older than 70. Tests that examine the blood and bone marrow diagnose ALL. Treatments include chemotherapy, radiation therapy, stem cell transplants, and targeted therapy. Targeted therapy uses substances that attack cancer cells without harming normal cells. Once the leukemia is in remission, you need additional treatment to make sure that it does not come back.